Did you know that humans host trillions of bacteria in their gut, called the gut microbiome? These bacteria play an important role in our health, including digesting food and helping our bodies to fight illness. Researchers at NYU School of Medicine are starting a new research project, called the Food and Microbiome Longitudinal Investigation (FAMiLI), which will include people from different communities in the tri-state area. 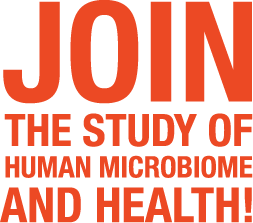 The purpose of this study is to learn how the human microbiome and diet are related to various diseases, including cancer, heart disease, and diabetes. Eventually this knowledge will lead us to ways to prevent these diseases, in combination with diet and healthy habits. We are inviting you to be a part of the FAMiLI study. Your participation is voluntary; however, your participation is extremely valuable in advancing current scientific knowledge and improving the health of your community. Thank you for your interest. We look forward to hearing from you.